The Italian company leader in fitness, wellness and sport training announced their partnership with GC2018 during the Fitness Show at the International Convention Centre in Sydney on the 28th April 2017. 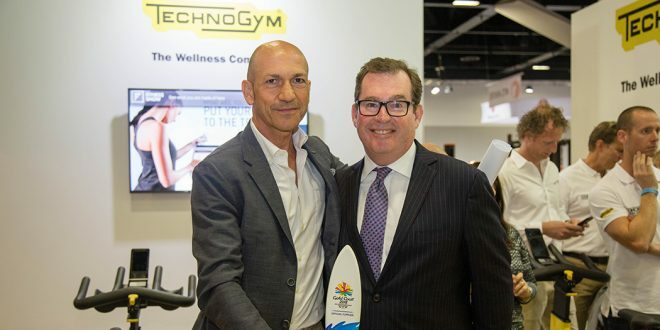 Technogym, internationally recognised for setting the standard in athletic training, rehabilitation and wellness, has been appointed by the Gold Coast 2018 Commonwealth Games (GC2018) as the Official Fitness Equipment Supplier. 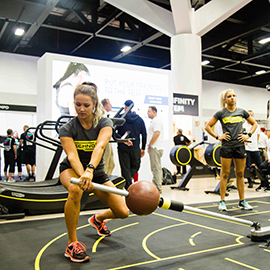 Technogym will equip training facilities, including the Commonwealth Games Athletes Village Gym, athletic performance centres and four smaller fitness studios across Queensland. The athletes competing at the Games will come from 70 nations and territories of the Commonwealth and compete in 23 sport disciplines. ￼The athletes will have the possibility to train on a selection of the best and most innovative products covering all training areas such as cardio, strength and functional training. All Technogym equipment will be fully integrated with the Mywellness cloud, the Technogym digital platform enabling them to stay connected to their personal training program directly on the equipment itself and via their mobile devices. “We are very proud of being chosen as Official Supplier of the Gold Coast 2018 Commonwealth Games. This achievement represents an important recognition of our commitment in research and innovation in order to create the most advanced equipment and digital technology for the world’s elite athletes” – says Nerio Alessandri – Technogym Founder and CEO. Founded in 1983, Technogym is a world leading international supplier of technology and design driven products and services in the Wellness and Fitness industry. Technogym provides a complete range of cardio, strength and functional equipment alongside a digital cloud based platform allowing consumers to connect with their personal wellness experience anywhere, both on the equipment and via mobile when outdoors. With over 2,000 employees and 14 branches globally, Technogym is present in over 100 countries. More than 65,000 Wellness centres and 200,000 private homes in the world are equipped with Technogym. Technogym was the official supplier for the last five editions of the Olympic Games: Sydney 2000, Athens 2004, Turin 2006, Beijing 2008, London 2012 and Rio 2016.